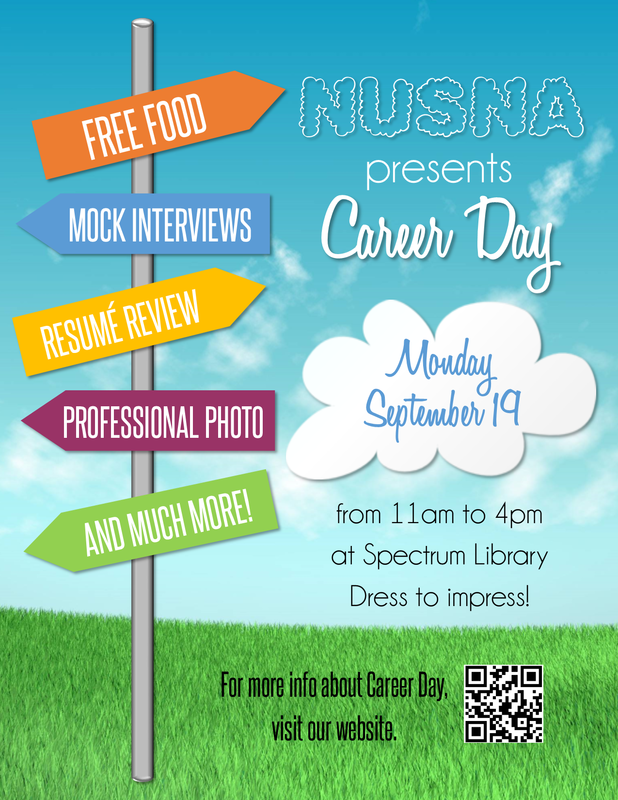 ﻿Join us at our Career Day on Monday, September 19! ​Learn valuable info about how to be successful in nursing school, on the NCLEX, and in your nursing career. Sign up for an appointment for photos and mock interviews below! For any questions, please contact NUSNA Student Activities at nusna.studentactivities@gmail.com.